Where Has the Summer Gone?!? 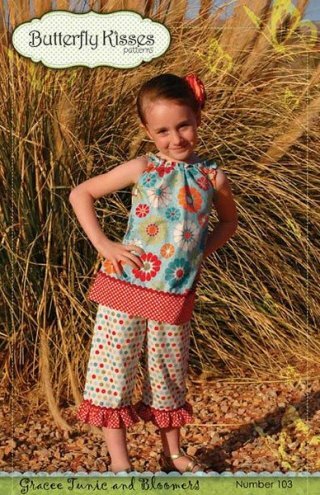 Goodness it's been a busy summer at www.UnBiasedFabrics.com. We've made lots of samples that went with us to the summer shows and now we're working on quilt samples for the fall shows! 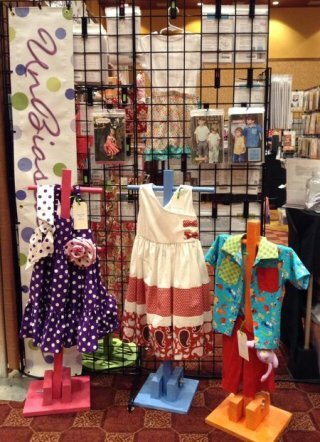 If you weren't able to visit with us at one of the shows we participated in this summer, here are a couple of photos. Featuring fabrics Sweet Tweet Birdhouses from Benartex and Pink Squared Fashion from Art Gallery. Starlet - A wonderful new blender from Blank Quilting. Gracee Tunic and Bloomers from Butterfly Kisses. This cute little tunic is gathered at the neck and armholes. Underneath are charming bloomers with a ruffled edge. You'll love this adorable outfit for summer. Children Sizes 3-8 years old. Don't forget to use your coupons from the summer events! Melly & Me - fun stuffed toys from Australia!